Monties Bed and Breakfast is situated in the heart of Bowness village and is less than a five minute walk from Lake Windermere and Bowness Bay with it’s host of water activities. Bowness is a fantastic base in which to discover what the Lake District has to offer, whether it be walking, bus tours, or by guided excursions. We will be happy to help you plan your days and have a whole selection of ideas for you and your family to get the most out of your stay in the Lake District. Our guesthouse is also just around the corner from the award winning and famous World of Beatrix Potter attraction. Bowness is a bustling village and has a real holiday feel in the evenings; there is a wide range of places to eat from fine restaurants, gastro pubs, various international restaurants as well as the more traditional pubs serving local ales - you really will be spoilt for choice. 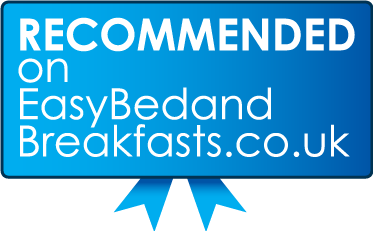 At Monties we offer clean, comfortable and affordable accommodation for couples and families, together with a fantastic breakfast. We also cater for corporate parties, ladies only groups, and tailormade weekends to suit: whether it’s sailing, walking, mountain biking, a cookery course or a spa day, let us plan the perfect break for you and your guests.